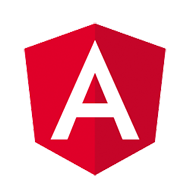 This Tools and Resources section of our extensive Angular Hub lists a huge range of tools and resources that complement your Angular journey and extend what you can do with Angular. For example, we cover plugins for Sublime Text, working with Angular 5 snippets in VS Code, productivity tips with WebStorm, and using Augury for debugging an Angular app. We also have a comprehensive introduction to Angular CLI, and we cover essential TypeScript tips and tricks. And we look at migrating users to Auth0, working with style guides, building multilingual apps, dealing with remote debugging â€¦ and a whole lot more. If you prefer to hold a book in your hand, check out Angular: Related Tools & Skills, or our guide to full stack development with MEAN. And if you havenâ€™t seen them yet, check out the sections of this hub covering a wide range of introductory Angular topics, as well as our extensive range of tutorials for getting things done with Angular.